It was our last day at the temples. We only had a few more to see and then I wanted to do a quick run through through Angkor Thom and end with Angkor Wat. I thought it would be great to start and end with the legendary temple. We started the day off with Prasat Kravan, which wasn’t anything too special but had a few unique carvings in one of the towers. I found it interesting that the carvings looked like they had been neatly cut in half. Clearly, parts of the carvings were missing, but it was so neat and tidy it made me wonder what had actually happened! 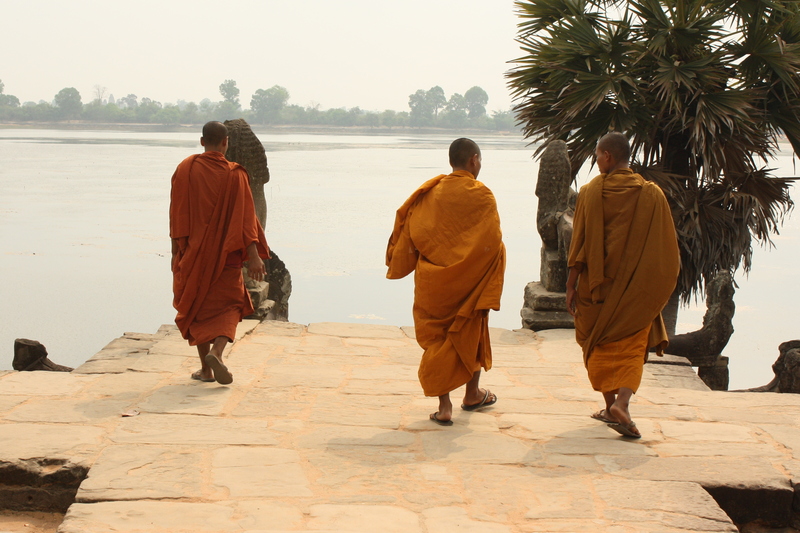 Sra Srang, which means “royal bath,” was next and offered a great view over a lake (most likely man-made). It is apparently a great place to watch the sunrise, but after our crowded time at Phnom Bakheng, we decided to forgo the zoo and show up a little later. It was incredibly peaceful and would have been a nice place to get some writing done if I had the time! 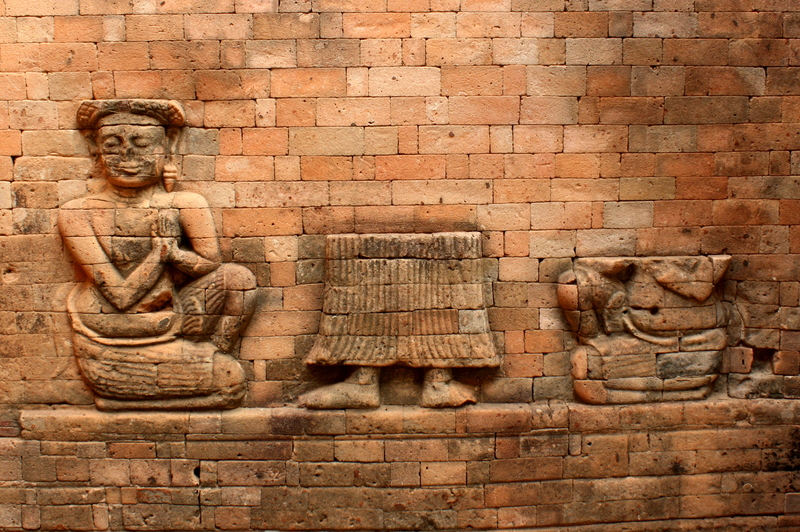 Across the road was Banteay Kdei with an entrance just like the gates of Angkor Thom (we came to love these gates and the four heads that adorned them and will always remember our peaceful time at the East gate away from any signs of tourism). The temple was quite large and like most of the temples was elaborately decorated with dilapidated carvings of gods and dancing apsaras. The infamous temple of Ta Phrom from the movie Tomb Raider was our next stop. 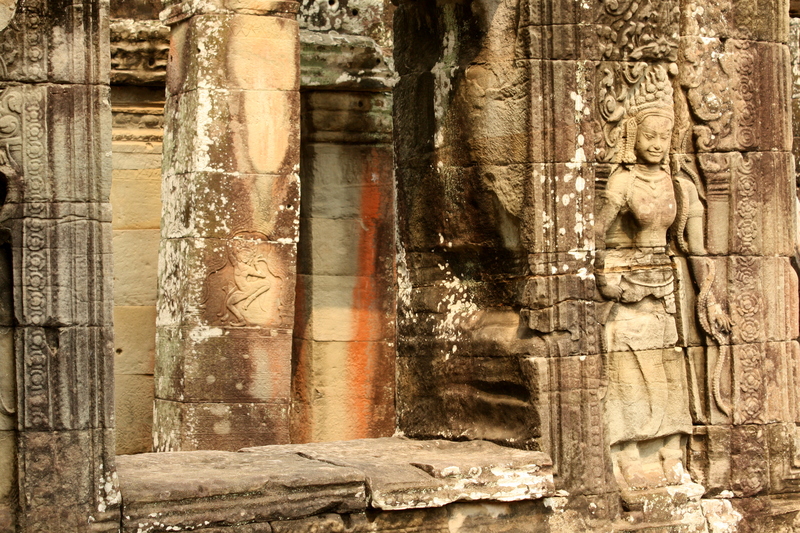 Built in the late 12th century to early 13th century, Ta Phrom was the temple chosen by the Ecole Francaise d’Extreme-Orient to be left in its natural state as a model of how most of Angkor looked on its discovery in the 19th century. Because of this decision, the temple is overrun by large trees and it looks like the trees are actually the reason why the temple is still standing. 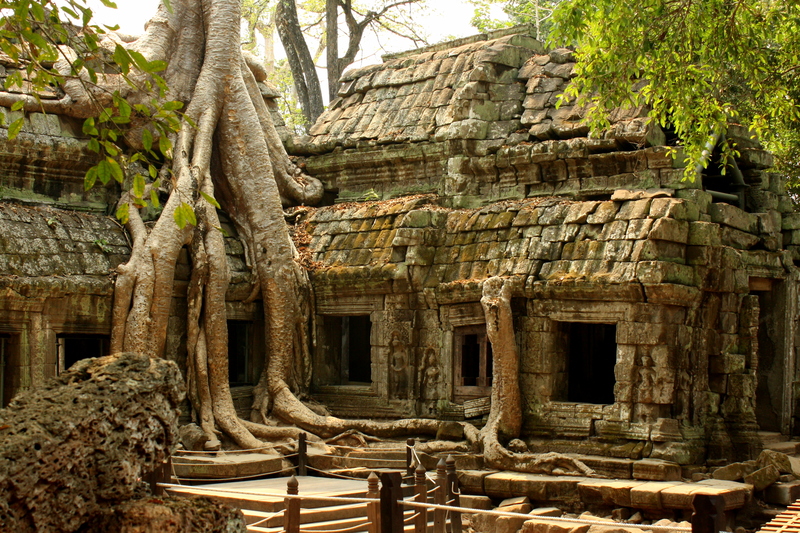 Instead of wood beams and scaffolding, Ta Phrom’s trees support the temple from crumbling. It was amazing to see huge tree trunks shooting out of the rubble and it now looks like the temple was strategically built around the vegetation. One of the most interesting temples on the route was Ta Keo, which was one of the first temples to be built entirely of sandstone. It looked like your ordinary temple. It had steep stairs, many levels, multiple towers, lots of places to explore and get lost in, but something was missing. It looked odd and it took me a few minutes to realize what it was: no carvings! Not only were there no carvings, but there were no statues either! I read later that experts believe that the temple was never finished, which explains the absence of the carvings. We stopped at the “twin” temples of Thommanon and Chao Say Tevoda, which weren’t entirely too exciting and then we headed into Angkor Thom for a quick walk through and lunch. After a delicious lunch of fried beef with pineapple, our last temple of our Tour of Temples trip was Angkor Wat. 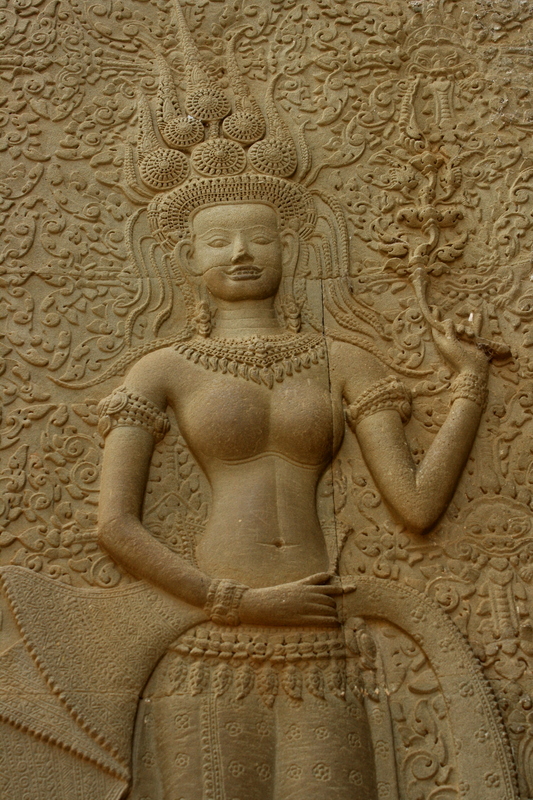 We had heard that every temple has one smiling apsara showing her teeth and we had directions to the one in Angkor Wat (looking through my pictures from the Bayon I realized that I had found that one too without even knowing!). Avoiding the crowds and tour groups, I found the teeth bearing goddess and my mission was complete! We spent about thirty minutes in the temple and scooted out of there before the sunset crowd set in. 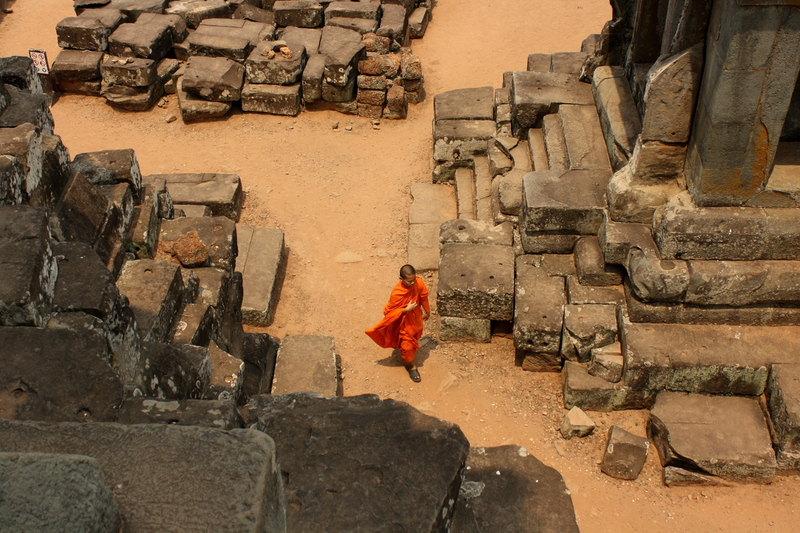 So my adventure at the Temples of Angkor was over. It was an absolutely amazing couple of days. I saw history that some people only dream of and I couldn’t be luckier! This world has so much to offer and I want to see more!